Despite the effectiveness of halons in suppressing fire, the 1987 Montreal Protocol prompted stringent measures to phase out production and use of halon due to its high ozone depletion potential. Like other countries complying with the Montreal Protocol, Kuwait banned halons consistent with the dates outlined in the treaty, and mandated the replacement of these agents with other fire suppression agents with a stronger environmental profile. Kuwait University is one of the oldest educational institutions in Kuwait, yet has dynamic plans for development, and keeping its students at the cutting-edge of scientific advances. To replace the existing halon fire suppression systems protecting its critical assets, Kuwait University decided to upgrade to a new, effective, and more sustainable technology, while being ‘future proof’ against current and future regulations. Kuwait University evaluated the various fire suppression systems available in the market. Selection criteria included extinguishing performance, maximum safety to occupants, sustainability and long term assurance about system validity. Space consideration: due to limited space. Speed of suppression: the system must control and extinguish the fire as soon as possible to help ensure safety of students. Personal safety: Due to the occupied nature of the areas to be protected (areas include a data centre); the agent must provide high safety margin to occupants. Asset protection: minimal, if any, collateral damage to sensitive electronics or critical assets if a fire were to occur. Ability to maintain continuous operation: no need to ‘power down’ equipment when the fire suppression system is activated. Maintenance concerns: minimising the downtime due to maintenance as much as possible. System complexity, off-site refilling, pressure adjustment due to pressure drop, potential long shipping durations of clean agent, were all among the concerns surrounding the agent and system selection process. Kuwait University College of Science & Faculty Club. After carefully evaluating the available agents in the market, 3M™ Novec™ 1230 Fire Protection Fluid was selected as the agent of choice. Novec 1230 fluid met all the criteria set by the client, including limited footprint requirements, fast discharge within 10 seconds and fire extinguishing within 30 seconds after discharge (as per NFPA 2001 standards). With the highest safety margin to humans as endorsed by the US EPA and best dielectric strength (relative to N2), Novec 1230 fluid is designed to provide protection to humans and equipment alike, while ensuring continuous operation. The 3M™ Blue Sky™ Warranty provided Kuwait University with a 20 year warranty against any future environmental regulations, ensuring long term peace of mind. The selected system requires simple maintenance procedures and can be refilled on site if necessary. Due to its non-flammability, non-hazardous nature, and liquid state at ambient conditions, Novec 1230 fluid may be airlifted in case of emergency without the restrictions required for gaseous agents. 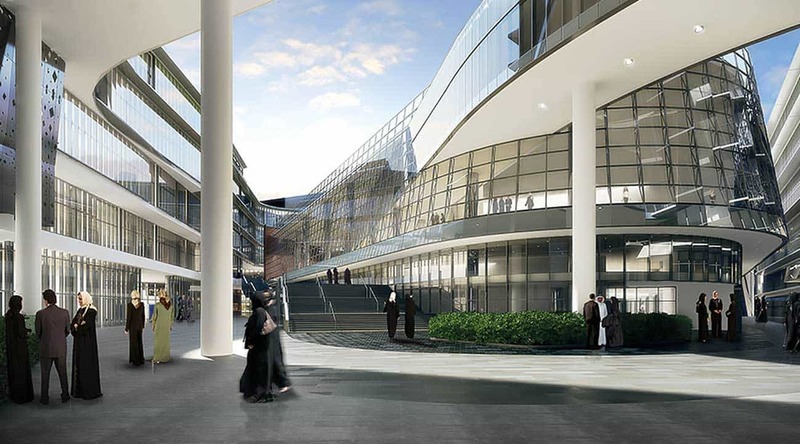 “We selected Novec 1230 fluid to protect Kuwait University valuable assets because of the unique features and benefits of the agent. The environmental and safety profile, limited space footprint and easy maintenance requirements makes Novec 1230 fluid the ideal agent to use. Kuwait University’s vision is to be a national pioneering university with outstanding qualifications in higher education and scientific research. We’re confident that through this upgrade we now have a fire suppression system which is similarly ‘state of the art’ and will provide long term protection of our students and campus. The installation of this fire suppression system has strengthened our belief that we have the best fire safety measures in place”.